In honor of the long-running reality series' 13th season premiere, we take a look back at the best fashions ever produced on the show. Project Runway, that fabulous reality show zombie that will keep making it work no matter what it takes, premieres its 13th season tonight. Like most long-running reality shows, it is well past its prime. Though the show's been on an upswing during the last season or two (after the talent level fluctuated wildly during seasons 6-10), it will never again be the zeitgeist-y hit of its moment. But think back to when it was! It was a time when we could quote "It's a motherf*cking walk-off" at each other like it was from a Will Ferrell movie. When we hated Wendy Pepper's guts, even while bitterly admitting she was right about Kara Saun's free shoes. When we tolerated Christian Siriano's catchphrases because damn it, he was a truly great designer in the making. Though there were plenty of factors for the show's breakout success—the judges and mentor Tim Gunn; the creative nature of the challenges—a huge part was the fashion being created. There were some crash-and-burns, of course, but there were designs that inspired, that excited, that showed off the contestants' original perspectives. You can think the food on Top Chef looks pretty, but you can't taste it. Watching Runway was like being on the front lines at Fashion Week. In honor of tonight's season premiere, we decided to take a look back at some of the best outfits in series history. Since there have been well over a thousand looks over the past 12 seasons, we decided to group them by challenge. Which designer took best advantage of unconventional materials? Which looks were most inspired? Which final collection was the best? We've got your answers below. 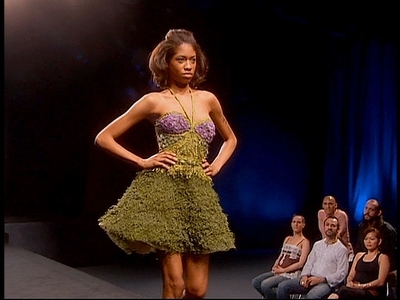 Standard bearer: Austin Scarlett's corn husk dress from season 1 showed viewers that Project Runway would be so much more than a flash in the pan. Something special was happening here. Best of the best: The Project Runway judges' major criterion for an unconventional materials challenge tends to be whether it could pass for real fashion. There's no question Sonjia Williams' aquatic-inspired candy dress from season 10 looked like a costume. But she incorporated so many different and difficult-to-manipulate materials—jellybeans, almonds, gummy sharks, rock candy—and still presented a stunning, whimsical, complete vision. Who cares if it looks like a costume? Sonjia lost to fellow contestant Ven Budhu's entry, largely because his looked like a real, if dull, dress, and that's a shame. These challenges should be about creativity, and this dress is pure imagination. Standard bearer: Andrae Gonzalo was known more for his tears than his fashion in season 2. But when he found inspiration in New York City gutter water, he knocked it out of the park. Standard bearer: The best entries in the sponsored challenges are both incredible in their own right and keep the client in mind. Nick Verreos' colorful, stimulating Barbie challenge dress in season 2 fits both those criteria to a T.
Best of the best: Jay McCarroll's Chrysler Building dress from season 1. It's not even close, honestly. The Chrysler Building dress is iconic in the same way Austin's corn husk dress is, perhaps even more so. Jay was always a talented designer, and his skill took him all the way to the winner's circle, but this was the first sign that he had something truly special in him. The look was created for a Banana Republic challenge—and, unfortunately, the level of detail in the dress prevented it from winning, since the winner would be mass-produced and sold by the chain—but it's an exquisite melding of client need and personal design philosophy. It's a standard bearer not just for this kind of challenge, but for the series as a whole. 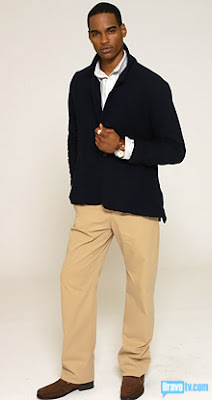 Standard bearer: Kit Pistol's look for Tiki Barber in season 4 fit the client's need, with fabrics that would look good on TV, and managed to actually look like sellable menswear (an issue for most of the designers, who seemed to have never heard of menswear). Other standouts: There aren't many! These challenges tend to trip up even expert hands (see: season 1's Nancy O'Dell Grammy Awards dress challenge). Best of the best: Getting to design a dress for a Marie Claire billboard in Times Square is a dream. Getting to design for supermodel Coco Rocha is also a dream. So it's only fitting that Mondo Guerra's season 8 entry was pretty goddamn dreamy. Mondo described it as Mary Tyler Moore-inspired, and that's clear from head-to-toe in the final look. This lost to Gretchen Jones's jumpsuit—a sad foreshadowing of that year's finale—but it was our first taste of the crazy cute aesthetic that defines Mondo's work. Standard bearer: Kara Saun's postal uniform from season 1 surpassed snail mail utility and managed to be capital-F Fashion. Kara was a standout all season, but seeing her step out of her comfort zone and hit a home run was all the more delightful. Best of the best: Chloe Dao's ice skater uniform from season 2 was flawless. Chloe used her signature blue to create an ethereal effect. The dress looks effortless, both beautiful enough to be worn off the ice and yet totally appropriate for the sport. This didn't win, but to be fair to guest judge Sasha Cohen, who opted for another look, this probably wouldn't have looked good with silver anyway. Standard bearer: What we mean by "specific" here is anything that wouldn't be worn every day, be it for a wedding or for prom or for the boudoir. Working on such a specific design prompt can often lead to compromising one's own design aesthetic or, at worst, a fashion catastrophe. Jay McCarroll's swimsuit in season 1 is the prototype of keeping point of view steady even in the face of a challenge. Best of the best: To get into the season 5 finale, the remaining designers were charged with creating a wedding dress. 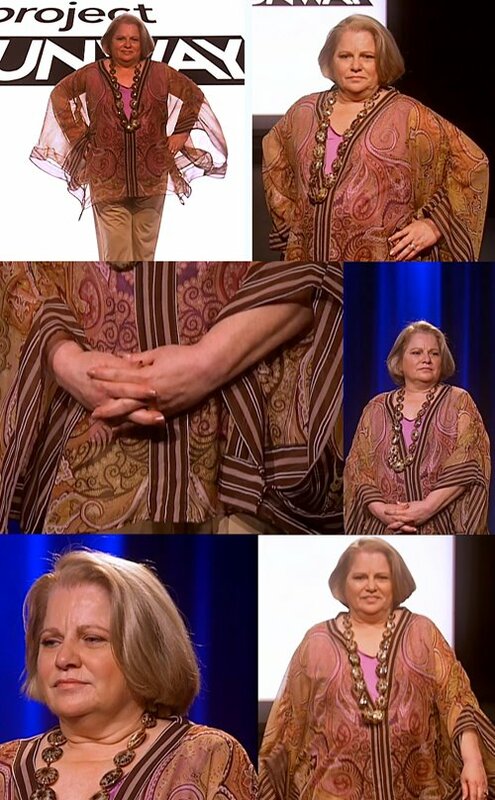 Leanne Marshall responded by designing one of the most incredible dresses in all 12 seasons of the show. Dreamlike and strikingly beautiful, it was a prelude to her final collection—which was similarly stunning. This was a showstopper. *NOTE: Ari South transitioned after her season, where she was referred to as Andy. She returned for the third All-Stars season and competed as Ari. Standard bearer: The dreaded real person challenge could strike fear into the greatest contestants' hearts. That's why someone like Uli Herzner, who effortlessly combined her design aesthetic with her client's needs in season 3's mom challenge, is so impressive. Best of the best: When designers were tasked with designing for a mother and child in season 7, most struggled on one of the two looks. Eventual season champion Seth Aaron Henderson barely broke a sweat and won the challenge in a walk. His jacket for the mother was striking and innovative, while his child's outfit was adorable. A positive attitude is key in these challenges, and Seth Aaron had optimism in droves. Standard bearer: We're defining this as "intensive," though most of the looks considered were from avant-garde challenges, because the original standout was from a couture challenge. That'd be Jeffrey Sebelia's couture gown from season 3, which masterfully avoided becoming a mess despite a lot going on. Best of the best: This one is easy: Christian Siriano and Chris March's avant-garde gown in season 4 was the absolute best. This is the only look that could challenge the Chrysler Building dress for the top spot. It's intricate, high fashion, actually avant-garde, and simply breathtaking. Standard bearer: The "design your own print" challenge wasn't introduced until season 7, but it's appeared in almost every season since. Gotta make those folks at HP happy! The first to really do something dynamic with the print challenge was Maya Luz, who used her print to emphasize the design, not the other way round. Best of the best: The later seasons of Project Runway are light on iconic looks and moments—most of the best memories from the show are from the first five seasons. But Mondo Guerra's look in season 8, episode 10 is the rare exception. A gorgeous print well-executed in its design, Mondo's entry would have been enough to win no matter what. The fact that it had an inspiring story attached—Mondo coming out as HIV-positive on the runway—was all the more empowering. 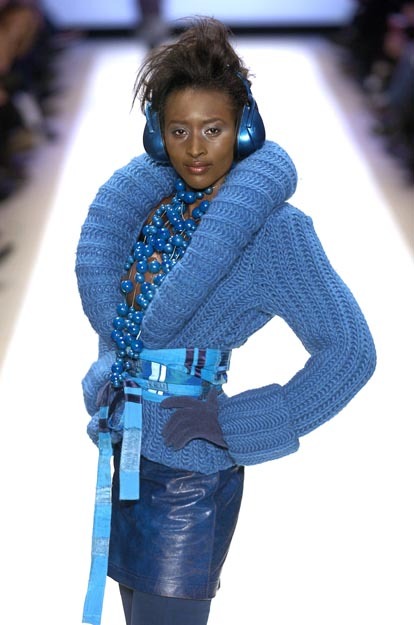 Standard bearer: Jay McCarroll's final collection in season 1 was a knockout in so many ways, but one of his blue looks—a deep blue sweater that looked simultaneously cozy and high-fashion—stands out. The beauty of Jay's collection is in how it all comes together, but he still managed to make a few pieces showstoppers. Best of the best: Rami Kashou's technical skills stand out in Project Runway history—though he had a tendency to return to the same draping well too often in season 4. But nothing showed off his status as a technical expert than his finale collection gown. The reaction in the Bryant Park tent was palpable and enthusiastic. This was the look people had been dying for him to design. It was the definition of a showstopper. Standard bearer: Colorful, surprising, exciting and unique, Jay McCarroll's final collection was an easy choice for the win in season 1. Much of the knitwear would still have a place in our closets—that's exactly how timeless his point of view is. Jay's output during the show was a bit limited by the dictates of the challenges, but given time and money, he really made his talent sing in a beautiful, heretofore unseen way. Best of the best: A great Project Runway final collection can stand next to the greats of New York Fashion Week and look right at home. Leanne Marshall's waves-inspired collection not only had a home under the tents in Bryant Park, it shone brighter than any other final collection had—or has since then. Leanne had a mastery of color, technique and material that sometimes didn't all come together during the rigors of the show. Leanne may not have been the most successful designer to come from Runway, but at least in this moment, her point of view never seemed more important.